Most of us have or will experience periods of intense pressure in both our personal and professional lives, resulting in feelings of heightened stress and anxiety, as well as trouble controlling our tempers. While this is absolutely normal from a time-to-time basis, for many stress, anxiety, and urges of uncontrollable anger are a constant, in which case it may be time to seek sensible solutions and perhaps professional help. 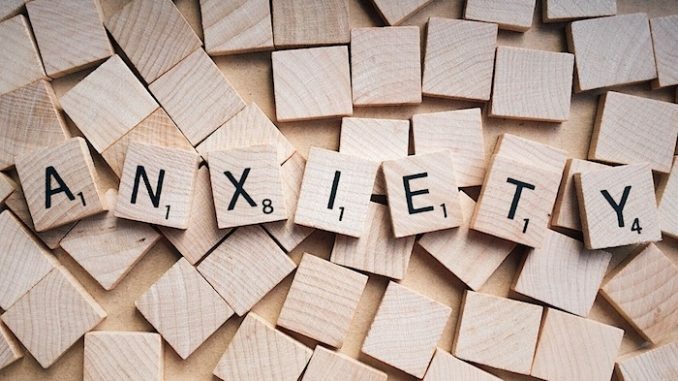 Do you suffer from chronic anxiety? Panic attacks can happen to anyone, but do you often find yourself repeatedly dreading some unknown factor, convinced that you are unable to do anything about it? Such occurrences are often accompanied by fits of trembling, increased heart rate, and excessive sweating and/or numbness. Anxiety can often result in severe insomnia, as well as nightmares or disrupted sleep cycles. Granted, it's hard to chill out when you have a number of pressing matters on your mind. However, longterm stress and anxiety make it all but impossible for one to truly relax and be in the moment. Feelings of jitteriness or that you should be doing something else can overwhelm you, preventing you from settling down to take a break. Anxiety can make it difficult–if not impossible–to enjoy the company of others or social gatherings. You may feel like you don't fit in or will say the wrong thing and insult someone; perhaps you feel an overwhelming desire to flee the scene altogether. Everyone loses their temper every now and then, but do you find yourself getting worked up over all things great and small? And when you do, do you shout, make severe accusations, or get physically violent? Does it take hours to calm down after? Anger is an exhausting emotion, and those who struggle with anger management frequently find themselves tired and lacking in energy. High blood pressure, heart palpitations, and an increase in blood pressure are all serious side effects of anger issues. It's worth noting that not all anger issues present themselves as explosive temper tantrums; many people attempt to suppress feelings of ongoing anger by adopting a passive aggressive stance or perpetual state of sarcasm or apathy, as well as self deprecation. If you find yourself exhibiting any of the above symptoms, the good news is there are many ways in which you can handle your stress, anxiety, and anger. When we're feeling overwhelmed and anxious, everything can feel like the problem–friends, family, work, social life, all of it. But if you pause to pinpoint the exact person or thing causing you stress, you may find that it's nothing at all! The next time you feel an anxiety attack coming on, take a deep breath and ask yourself what the exact source is, then proceed to work out a sensible solution. A lot has been written about concerning self-care, and it's easy to confuse what the term actually implies. Self-care doesn't necessarily mean expensive purchases or indulgent luxuries, but rather taking the time to do what makes you truly happy and at peace. An hour or so a day to yourself can help put matters into perspective and allow you to clear your head. Whether it's a stroll through the park, meditation, cracking open a good book, or taking a long bath, taking time for yourself away from distractions and demands can often relieve feelings of anxiety and irritation. 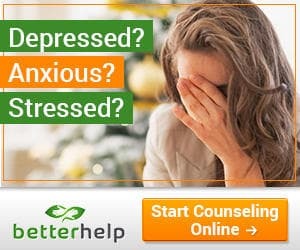 It may be time to seek the help of a professional therapist, who can guide you through your feelings of anger, anxiety, and stress and assist you in finding lasting solutions to their cause. For those with busy schedules or are unable to schedule in-person appointments, online therapy is fast becoming the popular alternative. Licensed and experienced therapists are listed and available through a number of online counseling platforms, offering real-time sessions that suit your individual needs. You are not alone in your feelings of anxiety and frustration, and pursuing the right course of action, be it self-care or speaking with a therapist, can make all the difference in a very short period of time.